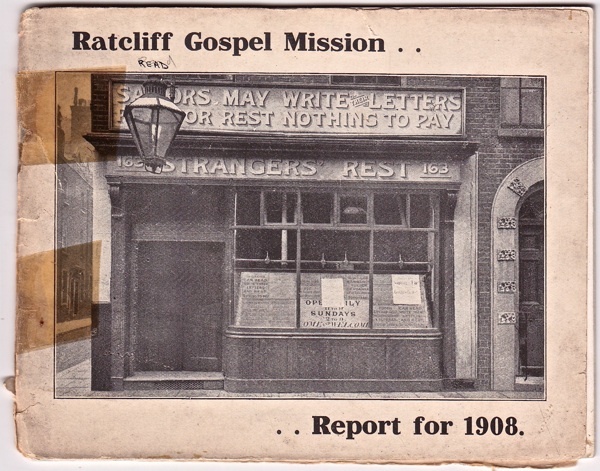 The Strangers’ Rest Mission is a plain brick building that drivers do not notice as they speed along the Highway through Wapping, in a neighbourhood where the deafening roar of the traffic never ceases and few people are to be seen upon the pavement. Yet the Mission has been here since 1877 when this was dockland, teeming with seafarers and others attracted “like flies to fresh meat” – as Gerald Daley puts it – who came to exploit the possibilities. In such circumstances, the Mission offered a refuge where a hearty welcome was extended to lonely sailors otherwise at the mercy of those who sought to separate them from their wages. 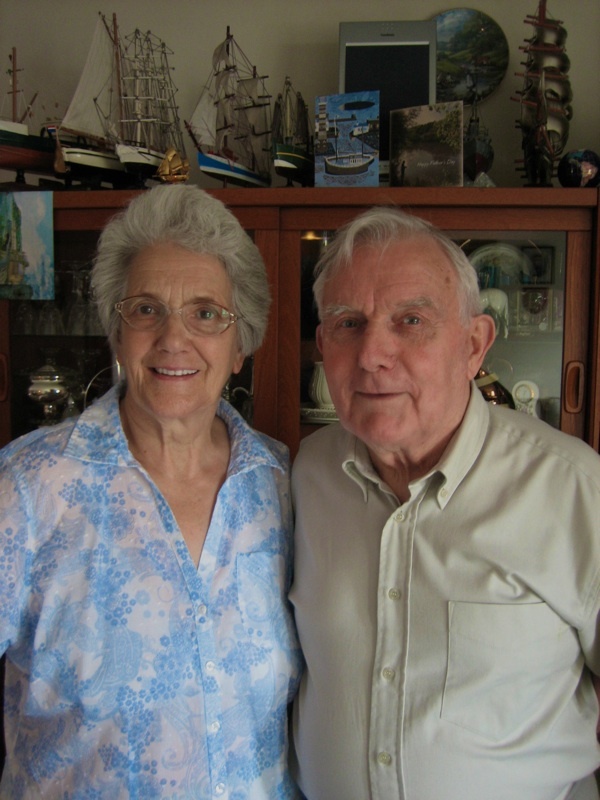 Pastor Gerald Daley came from Wales to the Strangers’ Rest in 1981 and has lived all these years with his wife Marion in the small flat attached to the chapel. Now at seventy-eight, he is due for retirement and awaiting a replacement, but in the meantime he spared me a couple of hours of reflection upon his time here and the history of the Mission itself. “I was born at the end of 1932, and my father was a union man who marched to London for jobs and he knew how much men suffered working in the docks, both at home in Swansea and in London,” explained Gerald, outlining all he knew of the East End before he came. A self-declared evangelist and open-hearted preacher with natural rhetorical style and an eager nature, Gerald was converted when he was twenty-eight and working as an engineer. A fortuitous redundancy gave him the money to go to bible college and he was almost forty when he came to the Strangers’ Rest. 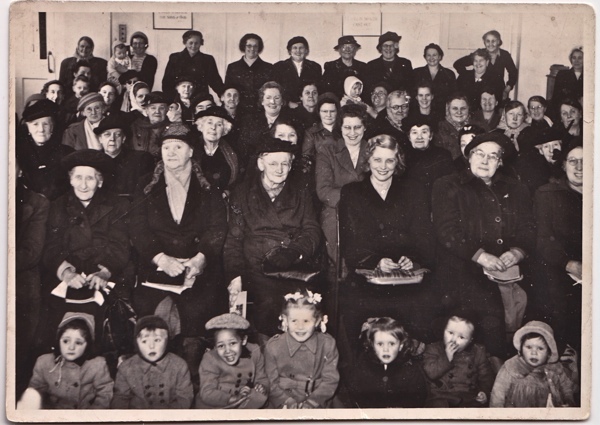 With the docks had closed by then, the mission’s work had shifted towards those in need who lived in the vicinity. 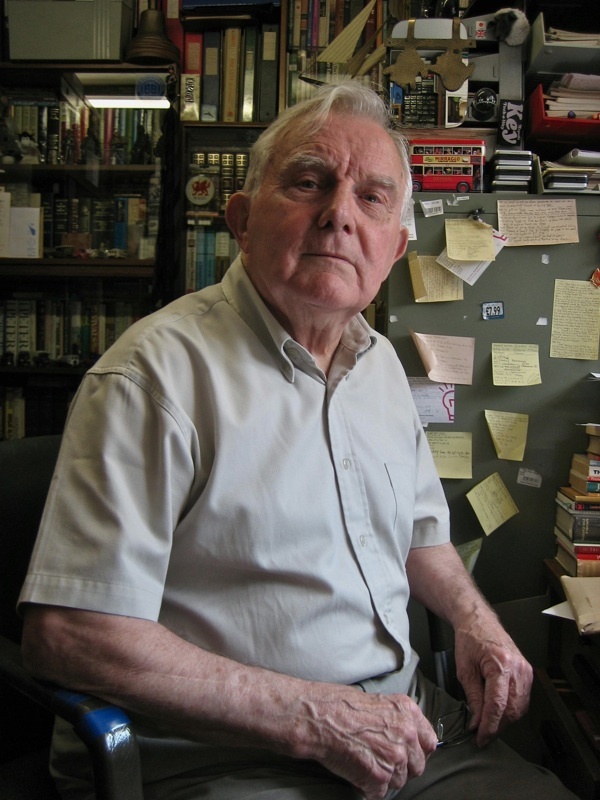 In his absolute belief, Gerald embodies the spirit that has sustained the Strangers’ Rest as the last mission of all those once associated with the docks. He carries the tale of Mrs Dagmar Andre, the Swedish millionairess who was not converted by chaplains upon the cruise ships she frequented, but by Gerald’s predecessor Bob Hutchinson – who ran the Mission for thirty-six years from 1935 until 1971, and rebuilt it after it was bombed with the largesse of Mrs Andre, in order that the good works might continue. And today Gerald has a small but committed congregation of older people who come for the weekly Sunday service followed by free lunch - “open to all,” he asked me to emphasise. “When I preach I believe in total sincerity,” he asserted, his eyes shining with emotion – a statement he qualified later by declaring, ” Yet I may not be as excellent as I should be.” and mitigated unexpectedly, saying, “But you can always apologise if you are wrong.” And then he gave me selection of pamphlets and a bag of sweeties to take with me – before sending me off with a warm handshake, suggesting it was God’s providence that had sent me to him. Sailors may write their letters – Read or rest, nothing to pay. 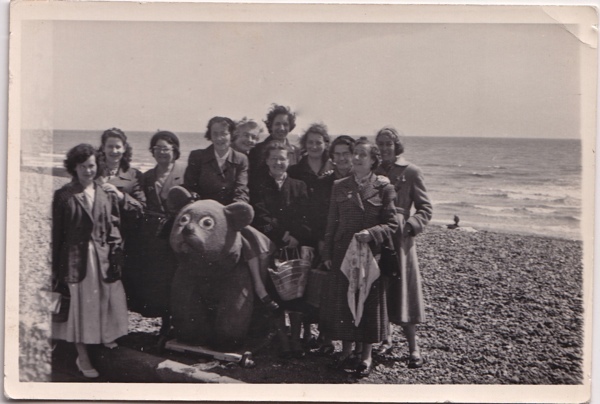 Ladies’ outing to the seaside, nineteen fifties. 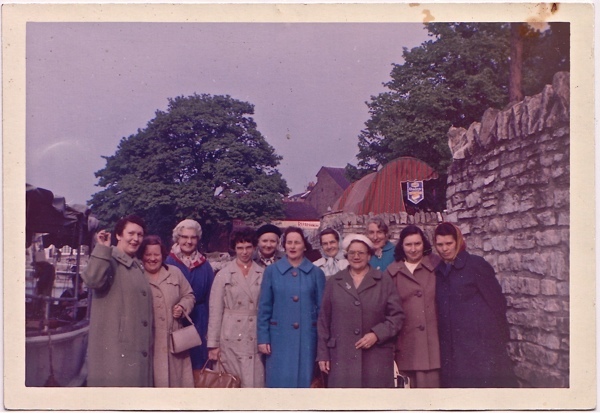 Ladies’ outing to Windsor, 1961. 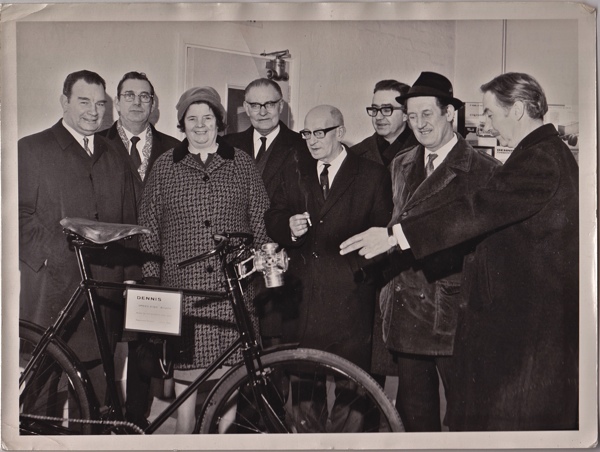 A visit by Mrs Armsby, the first woman to be mayor of Tower Hamlets. 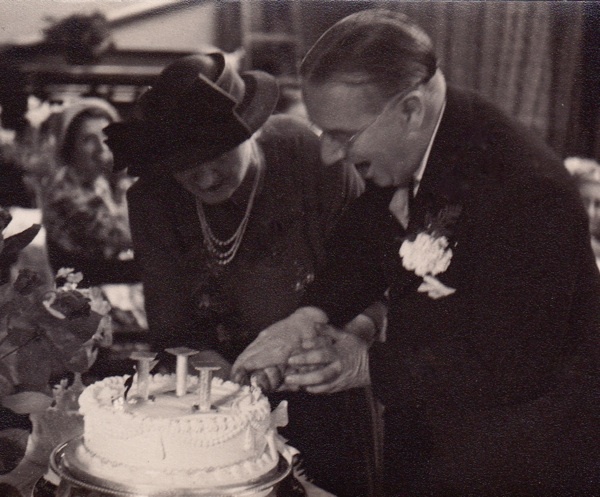 Millionairess patron Mrs Dagmar Andre & Mr Bob Hutchinson cut the cake. 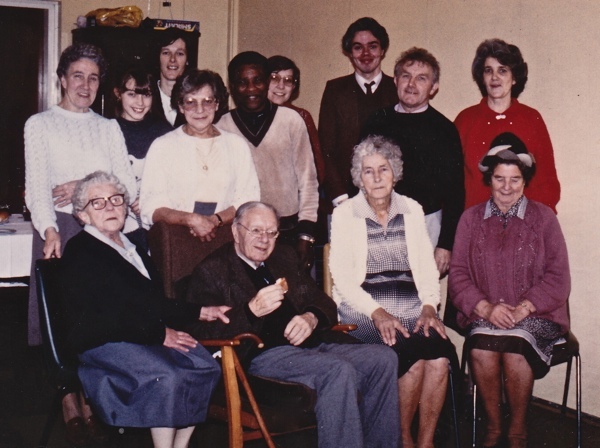 A visit to Bob Hutchinson, ex-superintendent of Strangers’ Rest Mission, at Pilgrims Care Home, 1987. 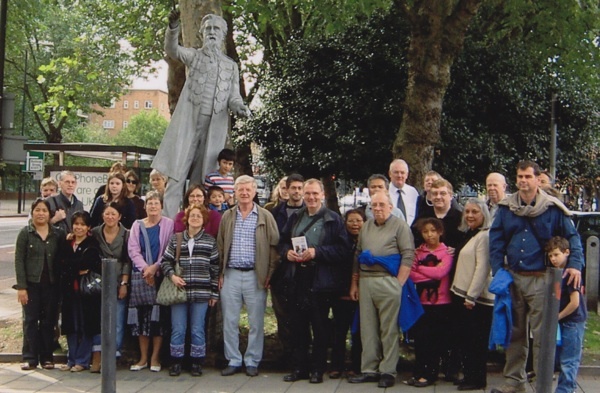 A walk from the Strangers’ Rest around sites of spiritual enlightenment in the East End – seen here at the statue of General Booth, Salvation Army Founder in the Mile End Rd. you always have the best faces. these, so open and bright. thank you. Thank you, I really enjoyed this story. all folks and stories, the fantastical and the ordinary treated the same by you gentle author , gentle by name and by deed. Its the space you leave around the people that you meet that gives such a luminosity and generosity of spirit to your work , you reveal ……thank you SO . ‘The Strangers Rest Mission’ – what a magical sign to come across. A light in the world for strangers to meet and be welcomed. I have another place which prompted a thought as I read aloud ‘The Strangers Rest’? It was; ‘The Sailors Reading Room’ In Southwold Suffolk – the North sea blows the shingle rolling it up the beach, keeping this haven of peace clean and welcoming to those who brave this wild, cold, windy shore. With a wet jacket about me and a pint of Broadside within my reach. – Would this place be my choice of a final resting place, a wave fair well to all the unkindness in this world? Yes, comes my soft whispering thought, as I listen to the distant wind along the shore. Departing with a smile upon my face; my last thought being . Wealth is Life! Thank you so much for this fascinating piece. 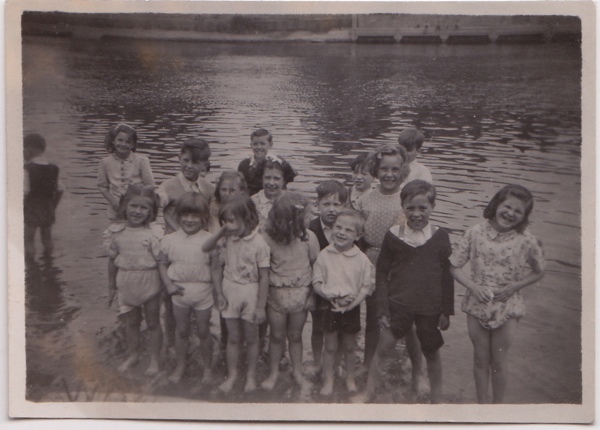 I lived in Wellclose Square as a child in 1954 till 1963, and I remember Mr Hutchinson and a lovely lady called Mrs Kirkwood at the Strangers Rest Mission where I went to Sunday School. They used to take my parents and me out in a car to different places, and although we later moved away from London, my parents never forgot the great kindness they met at the Mission. God bless Pastor and Mrs Daley, and everyone who is continuing the great work.